While this book isn’t directly related to individual trading derivative trading it is defiantly worth a review, as what is done by many individual derivative traders has similarities to the way that hedge funds trade. 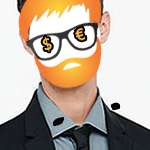 In recent times there has been a tirade of books examining the hedge fund industry. 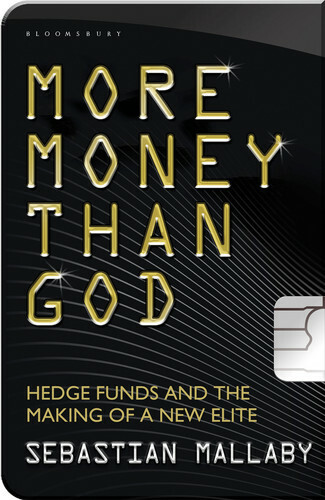 Today we are going to take a look at More Money Than God: Hedge Funds and The Making of the New Elite. The book is beautifully researched with Sebastian Mallaby having done vast amounts of research which is also referenced in the significant appendix. Looking at the history of hedge funds and how they operate Sebastian Mallaby does an excellent job in explaining the ways that successful hedge funds gain an edge over the market. Sebastian Mallaby’s prose should also be regarded as excellent explaining complicated ideas and issues well without dumbing down what is being talked about. As some one who is interested in trading I found the book thoroughly gripping and thought provoking and made me think about the way I myself trade. Detailing the earliest hedge fund managers and they acquired an edge, to the high tech trading houses using computer trading, Mallaby details how Hedge Funds have developed and innovated. The book provides many insights into the strategies that have been used by various hedge funds throughout there existence and provoked some new trading ideas within myself. As well as this the book can been seen as somewhat sympathetic look at hedge funds with Mallaby explaining how hedge funds aren’t quite the bad boys as the media often paints them out to be. Anyone who is interested in Investments and how finance works in the 21st Century should read Mallaby’s More Money Than God. More Money Than God is a trip through Hedge fund history that I thoroughly enjoyed. A great book that I have to give 5 out of 5. RAFMM is it really a regulatory authority?